Cities are taking the initiative to promote environmental sustainability. They provide incentives for buildings and homes to go green. They adhere to smart growth. They design urban space in a way that facilitates the interactions of human, nature, and built environment. And their latest efforts are directed toward clean energy. Many cities are not only encouraging residents to use but also produce their own electricity through renewable sources. But the road to clean energy is not a straight path. It has twists and turns and many obstacles along the way. Take, for example, the case of former Vice-President Al Gore. 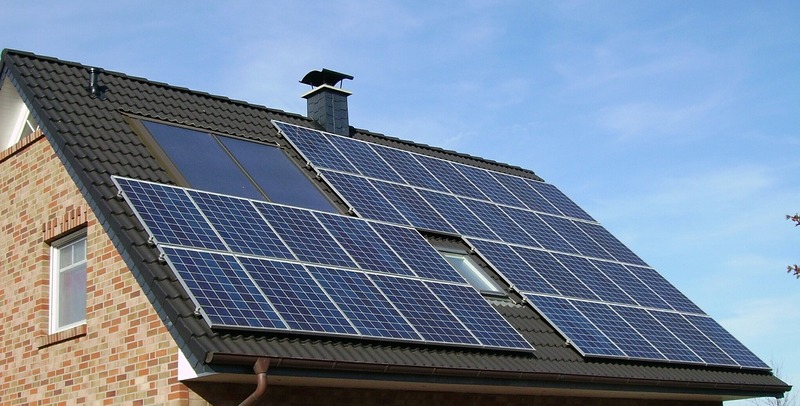 In 2007, he applied for a permit to install solar panels on the roof of his home. His application was disapproved because solar panels were then considered power generating equipment that could only be installed on the ground. In California, a resident filed a legal suit against his neighbor whose redwood trees were casting a shadow on his solar panels. The court ruled in favor of the solar panels and resulted in the cutting of the redwood trees. A resident in Bourne, Massachusetts, who planned to install a 132-ft windmill in her backyard, was disapproved twice by the planning board “citing safety concerns and predicting an adverse effect on the character of the neighborhood”. These cases illustrate the many problems stopping green projects in their tracks. For instance, residents wanting to install solar panels or wind turbines would have to spend time and resources to discover if products and services are available and affordable. Once the appropriate product is identified and purchased, the next step is to ensure compliance with documentation requirements, application and inspection procedures. In many instances, these requirements and procedures are complex and ill-defined. One estimate places the administrative expenses associated with siting and permitting requirements from 13% to 30%. Getting support from the local community is another issue. Solar panels and wind turbines are considered green LULUs (locally undesirable land uses) and installing them in one’s neighborhood may attract opposition from other residents who may raise issues about safety, aesthetics, and property values. Cities can leverage resources at their disposal to deal with these problems. Green firms and contractors, for example, can provide information and technical support to residents. Cities can also benefit from sustainability or climate change networks as venues for information-sharing and problem-solving. They can also harness their administrative resources to increase organizational capacity and improve permitting procedures. Allocating budget and designating a unified office with dedicated staff to the sustainability effort are concrete steps toward this direction. Research has also shown that local government structures shape policy. For instance, city managers have been found to be effective in planning durable projects consistent with sustainability goals. They are more willing to adopt innovative policies and practices. It has also been shown that educated residents are typically the ones more receptive to environmental concerns. The article, “The Politics of Land Use for Distributed Renewable Energy Generation,” examines these many problems and the available resources to deal with them. It views these problems in terms of transaction costs, which serve as barriers to policy. Those available resources could minimize transaction costs or enable cities to overcome these barriers. The study looks into a particular policy on distributed renewable energy generation and determines which of the resources contribute to its adoption. The residential zoning code to permit the installation of clean energy technologies is the policy considered in the study. It is in its nascent stage of implementation and provides a test case on why some cities are adopting it whereas others are not. Applying a logistic regression model for data analysis, the study found the following resources to be statistically significant in shaping policy adoption: green firms and sustainability network memberships as information resources; dedicated staff for the sustainability effort as administrative resource; forms of government and educated populace as political resources. In other words, cities with these resources are more likely to adopt the policy on distributed renewable energy generation. Rizalino B. Cruz is an assistant professor in the National College of Public Administration and Governance, University of the Philippines. He holds a PhD degree in Public Administration from Florida State University. His current research focuses on the intersection of sustainability, energy, policy, and institution.